At the beginning of the year, I set a few goals for 2013; definitely not resolutions, but tangible goals for me to strive towards achieving both personally and professionally during 2013. 6 months into this year, it's time to see how I'm doing! I'm currently at 66 books read for 2013. That's about 20 books shy of the halfway point of 87 books where I should be, but #SummerThrowDown is coming up for the month of July. I also have a few trips coming up which means time to read in the plane/train/car! Well, this is still certainly a struggle for me. I have read some non-fiction books this year and have quite a stack of Professional Development books I'm working my way through as well. I'm discovering I enjoy reading these applicable types of books rather than history or biographies. I'm scheduled to present with some super awesome librarians at 2 different conferences this fall! Both presentations will be on genrefication and the school library. 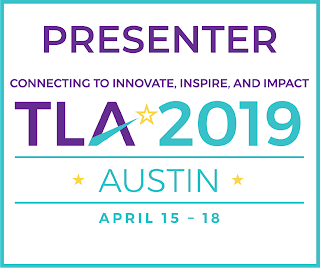 I'm looking forward to sharing at both ILF (our state library convention) in Indianapolis and AASL (our national convention) in New Haven, CT. Done and detailed in my post on Reading Teachers Running! I had so much fun, I'm going to run another one this October -- the Chicago Marathon! I'm happy with my progress in 2013 and plan on pressing on! Great post! I'm thinking about training for a marathon that is in October. Because of my foot injury, I am looking at a 16 week that would begin next week too. Happy running! Happy reading! Happy training! I loved the 16 week FIRST training plan with 3 days a week of running and 2 of cross training.